There’s a new position to fill in the web marketing dept: Contest Producer. Okay, the position doesn’t exist quite yet, but it will soon, and it could be YOU doing the job. Do you know the role of a Contest Producer in internet marketing? Contest Producer, Rob Campbell – 16th Nov 2014. The Contest Producer is a very specialized content creator who, in the act of performing her duties becomes a measurable catalyst that amplifies the contest’s story reach, impact and appeal. 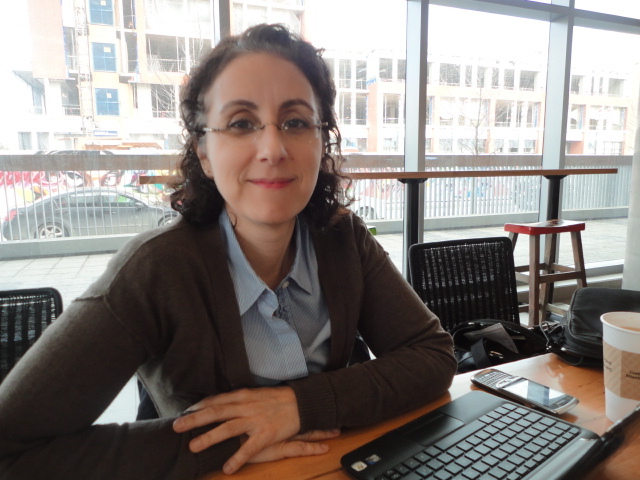 She uses her writing skills and her own personal distribution networks and resources. Essentially the CP helps the marketing team get the biggest bang for their buck executing their online contest attractions. The new hire will definitely have to prove herself by showing ROI in well written reports. A contest producer operates much like a theater producer, or film producer, and even more like a TV commercial producer, or a game show producer; they are a storyteller in charge of designing and transmitting an interactive challenge to communicate a compelling brand message and increase sponsor website prominence both socially, and on search engines. The producer has to measure and prove his work positively affects sales. Here at Surround, we use contests to grow social channels, facilitate SEO link building and ultimately increase client sales and exposure in the marketplace, so we expect to see measurable growth in all sectors. After recording the client’s ask and benchmarking the current rankings and social channel strengths at the start of the campaign (see detailed To-Do list in the next post), its the first duty of any contest producer, who is essentially a web storyteller, to study the particular business landscape and make lists of the most popular places to tell their tale. Being intimately familiar with your client’s entire business and social landscape should be a prerequisite for a professional contest producer accepting the assignment. Every product or service has some affiliated social ‘release’ platform. Even ‘personal injury lawyer’, ‘bad credit auto loans’ , ‘tax planner’, have social group outlets… But you may have to search related subcultures to find them. As a contest producer, you must shape the idea into a platformed program. Combining platforms is a high art and speaks to the maturity and experience of the production team; it requires having an idea that transcends platforms and yet can be prism-ed into different media sectors. For example, executing a homemade pizza recipe contest on a micro site could be amplified by a photo contest on both Instagram and Pinterest. 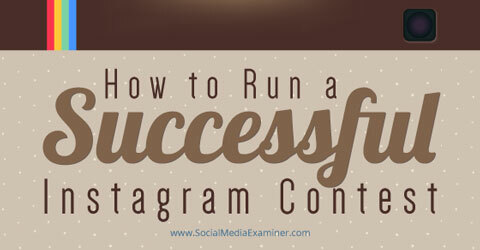 There are several models for such activity and a good article about choosing contest format on Instagram on SocialMediaExaminer. Pinterest requires a completely different style competition, less capturing and more curating. Here is a list of 3rd party contest platform providers that allow contest producers a reasonably free hand. Not all contest platforms are the same that’s for sure, but veteran contest producers should have tried at least five different platforms and have preferences for particular situations and general applications. What should contest producers be looking for in a contest platform? Do the software or website support photo, video, audio and text? Does it come with support? do they have the necessary admin to protect your client’s brand? Does their offering have built in social networking features? Can the look and feel of the contest site or plugin software be customized? Legals? Who does them? *Do I own the user data for participants in the contest? Can the platform help get distribution and entries into the contest? How? What sort of metrics does the system or software provide so I can measure my success? Can it scale? ie city wide? province-wide? nationwide (including Quebec?) and internationally? Has this system or software or website service executed other successful contests? the same format? Good contest producers match contest platforms to web strategy, and not the other way around. They create the best possible contest idea first and then seek and employ the most cost effective software, platforms and management strategy. Good contest producers are familiar with all different types of contests and reciprocating marketing tools. They choose the right platforms to fit the right attractions. For example they’ll combine Facebook and Instagram to execute a nationwide photo contest etc, and use Twitter only as the vehicle for a new company slogan contest etc. Contest producers must understand SEO, and should always be thinking about how they can use web attractions and the messages and media around the match to make keyword rich environments in which to publish links to sponsor websites that will help build these website’s authority and help them compete for popular search terms. At the end of the match that outcome can be the most favourable for the growth and success of the sponsor’s business. The best contest producers are bloggers or have evolved from this activity and they know how to make html links in text that doesn’t provide a toolbar (like Flickr photo descriptions etc). They should have active personal blogs and be reasonably good photographers with their own cameras, and above all be great storytellers. In the photo above is Carolyn Wilman the Contest Queen who is probably Ontario’s busiest freelance ‘contest producer’. Marketing on at least twenty different portals with personal relationships / profiles. A successful execution and problem-free resolution of the original challenge wherein the winner receives the prize. BONUS if there’s a pic of the winner with the prize. Real SEO returns! As measured in #emails collected, # followers, increased page rankings and sales. Contracting the services of a Contest Producer should bring alliances with contest media publishers, established profiles on contest discussion forums, and relationships with editors of popular niche content portals. Contracting the services of a Contest Producer should bring access to a wide variety of ready-made legal docs including various themed contest rules and generic Terms of Service TOS documents that reduce the sponsor company’s build time. The contest producer is entirely responsible for rules and awarding prizes. The Contest Producer’s final reports are essentially contest storytelling about contest storytelling. They are detailed accounts from an omniscient author’s perspective summarizing all elements of the story that were created, providing sponsors with a comprehensive record of the entire interactive marketing project.